Nicola’s research focuses on the interaction between people, infrastructure, and the environment. Specifically, she seeks to identify ways (1) to make water planning and management processes more flexible and adaptive and (2) to redesign the permitting and operations of large water infrastructure to meet more diverse environmental and social needs. Nicola was awarded a 2017 UC Water seed grant (in collaboration with Tyler Scott and Sam Sandoval-Solis) to develop text mining techniques to study water-energy tradeoffs in infrastructure siting. Nicola Ulibarri is an assistant professor in the Department of Urban Planning and Public Policy at UC Irvine. She holds a BA in anthropology from Harvard University, an MSc in Nature, Society and Environmental Policy from the University of Oxford (Green Templeton College) and a PhD in Environment and Resources from Stanford University. 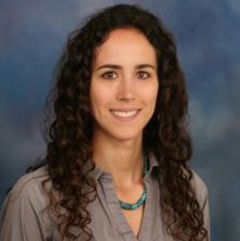 Prior to joining UCI in 2016, she was a postdoctoral fellow at the Bill Lane Center for the American West at Stanford, where she investigated challenges in the siting and permitting of water restoration and climate adaptation projects in California.